I’m in the Hometalk Bloglight…Shut My Mouth and Call Me Speechless! Hey there! 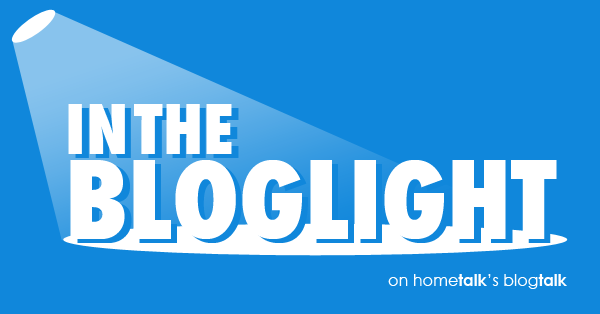 I am really excited, because today I am in the Hometalk bloglight! What is Hometalk you ask? Hometalk is a social home & garden website where people share project ideas and advice for their homes. It’s my favorite go to place for inspiration and home advice…they cover everything you can possibly imagine! If you are here from Hometalk, WELCOME! Grab a seat and hang out for a bit…let’s get to know each other! You can check out my projects on Hometalk as well! Let’s start with the beginning…the beginning of my blog that is. I started this blog almost two years ago with no intentions whatsoever. I just needed a place to rant. I was becoming extremely tired of the way I was seeing friends around me that felt the need to pretend all the time. I knew friends that were having trouble paying their mortgages, but were buying new cars and taking cruises to the Caribbean, and it just started to make me sick. I was also having trouble getting a grip on what my kids were eating. It was kind of a free for all around here…snacking, snacking, snacking…not healthy in the least. So, I started this blog with a post about getting your children to eat healthier and a few posts about women needing to be nicer to one another. That my friends is where the Mom 4 Real comes from. I’ve always been a little crafty, you know…make stuff for my kiddos, rearrange the furniture once a week, paint a random wall here and there…normal, right? 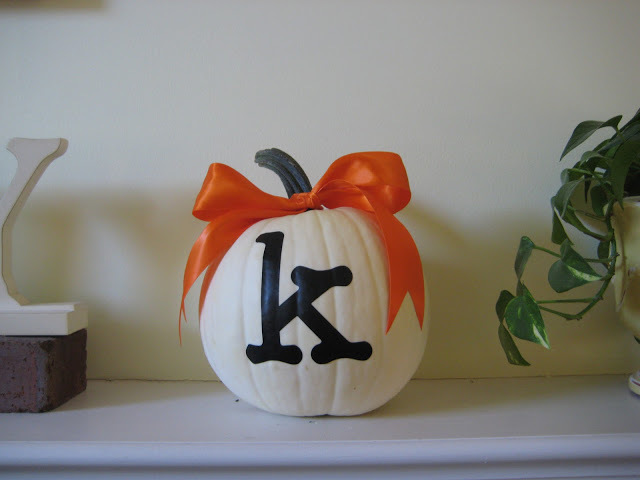 Well, I had just used my new Cricut to monogram a little white pumpkin, and decided to share it on the blog, and that was it. Ranting over. After that, I started sharing all of the crafty DIY projects that I did around the house, and quickly started gaining confidence…I found my self so to speak. I contemplated changing my blog name, but decided not to, because that is who I am…a mom, just trying to keep it real. My mission is to show other mothers that you don’t have to break the bank or have a huge house to make a beautiful home. I live in a smallish home, and have a budget, but want to have pretty things and live well. 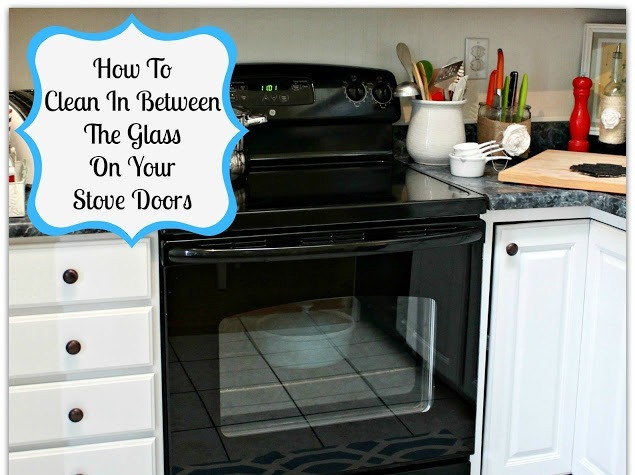 My biggest post to date is How To Clean in Between the Glass on Your Oven Door. It was totally written for Hometalk, because I had posted a tutorial on How to Clean Your Ceramic Stovetop, and lots of the ladies there asked if I knew how to clean between the doors. So, I gave it a try, and a viral Pinterest post was born…thanks Hometalk readers! 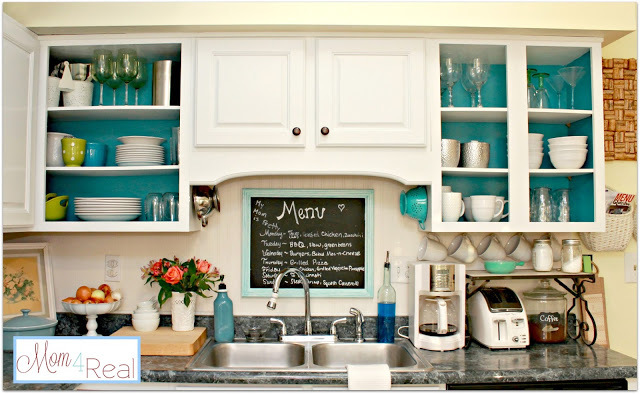 I think my favorite post ever is my Open Kitchen Cabinets With Aqua Accents. It really gave my kitchen the cottage look I wanted and I used sample paints from Lowe’s…so, it basically cost me $5 for a huge impact update! I really truly love blogging, and feel like it is absolutely what I was meant to do. My family loves my blog, as long as they get a little veto power…at least that’s what I let them think. Some of my friends read my blog, but all of them are extremely supportive. I think most of them think I’m a little crazy…which is true. I am a fly by the seat of my pants blogger. I do schedule some things, but I like pressure, so I usually just go with whatever I feel like doing. Most of my posts are done and photographed one day, then edited and posted the next morning. That is just what works for me. I have tried to be super scheduled, but it zaps my creativity, so I just do my thing. I am so inspired by other bloggers, and my favorites vary from week to week. If I absolutely had to pick my favorites, they would be Tatertots and Jello and Young House Love. They were the first blogs I ever read, and inspire me still. I am a very goal oriented person, so my advice to new bloggers is to set some goals…a few small goals, like getting your projects featured on a certain site or growing your readership to a certain number. Also set a big goal or two. They don’t have to be huge, just think of something you really want to do, and go for it. One of the goals that I set for myself last year was to become a contributor for Jen at Tatertots and Jello. I knew exactly what I wanted and went for it, and now, I am very proud to be one of TT&J’s contributors. Just believe you can do it and work hard. Just don’t expect everything to happen overnight…blogging takes a ton of time and effort, but if you love it like I do, then it is totally worth it! 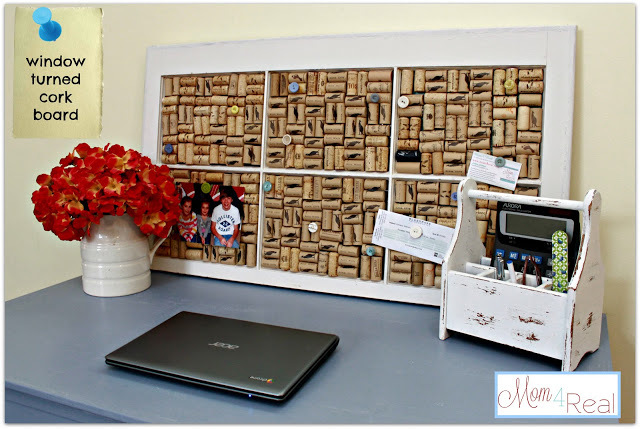 My favorite kind of post is one that is unexpected…like taking the doors off of my cabinets and painting the insides aqua, or taking an old window and some wine corks and turning it into a wine cork board! I love making something new from something old…yep, that is my favorite! 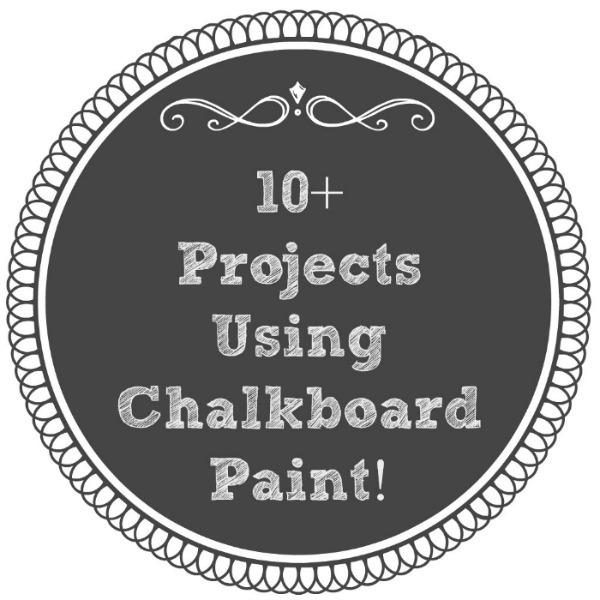 I also have quite the chalkboard paint obsession…you can check out a roundup of all of my chalkboard projects in one place now! My final thoughts…really live in your home and make it your own! Don’t be afraid to make a big change and do something fun. Be different, be bold, and be real! Thank you so much for so much Hometalk for featuring me in the bloglight today and letting me share myself with you! I hope you will stick around and follow along via email below or “like” my page on facebook…I just love making new friends! This is so you! Sounds just like the Jess I know. So glad you started your blogging journey and let us follow along. You have grown so much already, I look forward to watching you continue to blossom and grow!! Hometalk is such a fun place to gather and exchange ideas, I know I loved your tip on getting that oven glass clean. Apparently, so did everyone else. Congrats, girlie! I too, am so thankful you started your bloggy! You give me so much and I hope that I return just a smidge of that!!! Check you out, lady! Congrats on being featured in the bloglight, you totally deserve it! Great post. Fun learning about how your blog started and how you came up with the name. You are the best, Jess! I love hearing about your blogging journey and following you on all avenues…especially HomeTalk! You are such a blogging role model – thanks for being so awesome!! PS I love your kitchen makeover too!! It was so fun to read this…I didn’t know how you started and I’m so glad you did! I blog exactly the same way…project and photos one day. Post the next. You are a hard worker and a go-getter. I have no doubt that all your dreams will come true! Loved your post, Jessica! There’s something so refreshing about the way your write. My eyes glided trough the words, lol! Thank you so much for sharing. So glad I met you through Hometalk. I’ve always loved your blog and meeting you in person last fall confirmed my suspicions were correct – you are even more fabulous than I thought!! Keep on keeping it real! Ahh.. Hello pretty lady! Looking fine in that bright light up there..yup! You know I am boogers in love with you– and can’t wait until I give you a big big squishy hug in April!!!! XO Way to rock it! Keep doing your thing chicken wing! You are one of my faves, Jessica, specifically because you DO keep it real! :) Congrats on being featured by Hometalk! I love your blog! So good getting to know you better! Love love loved reading this post. Thanks for sharing just a portion of you with us. I love that you are THE Mom4 Real!! Congratulations on being featured with Hometalk!! You go girl- you deserve it. All of your posts rock . So glad you were featured in the bloglight! You shine like clean glass on an oven door! Loved that post to BTW! Thanks for sharing a little bit of yourself with us! I’m just starting out and love to read the history of my favorite blogs! Thank you for keeping it real! I loved reading your story! Glad you are still keepin’ it real! I love your projects and your blog. So happy for you to be featured! You go girl. :) I am following you on all fronts now. We are kindred spirits!!! I made a window corkboard EXACTLY like the one you made and it’s hanging in my momma’s kitchen right now! Hope you have a great day and congratulations! Congrats, Jessica! It’s well deserved and you’re blog looks beautiful! Jessica…loved reading your story….I love that you blog like me…by the seat of your pants…..! !..And…you are the real deal…with so many “pretenders” out there, it is refreshing to know people like you…love your blog…and you!! Congrats on being in the Bloglight…well deserved Jessica!! !…well deserved! Have a great weekend!! I loved reading your story about how and why you started your blog! You always have the best ideas and information. Every time I look at my yucky stove, I think about you and know that when I get around to cleaning it, I’ll know where to go. You are the REAL DEAL and I’m so happy that I’ve gotten to know you through blogging! I’m so glad you found your blogging voice and that those pumpkins kickstarted your creativity. Of course, I also want to read what you have to say about women being nicer to one another (yes they should be ) and getting your kids to eat healthier. And do you know that right before you posted your “how to clean your oven doors” post, my husband and dad were working on our oven and even took the doors apart. But neither of those stinking boys thought to clean between the glass. So, I’m gonna have to take it apart again and clean it. But this time I will have your tute, and I won’t need help from those stinking boys! I am on Hometalk and Blogtalk with you and have loved getting to know you better! You are right … that post on cleaning between the glass was huge but so very helpful to us all!!! Nice post Jessica! I totally agree with your statement that women need to be nicer to each other…. the world can be a tough place, no sense making it tougher ;) Congrats on the feature hon!